Some SUVs go purely for functionality through bulky size, some do it through luxury and technology, and others just cover the essentials of getting from point A to point B. With the 2018 Dodge Durango, you needn't choose between any questions of either-ors when it comes to the versatility, power, and spaciousness. Five- or seven- passenger seating is available via an optional third-row addition to accommodate all family members. It's built solid and aggressively large; there's no mistaking this car for a van with its great styling and strong lines, complete with hood scoop and signature Dodge Split-Crosshair grille. With a V6 or V8 option, the engine can still give you a thrill of speed. Never compromise with the 2018 Dodge Durango. 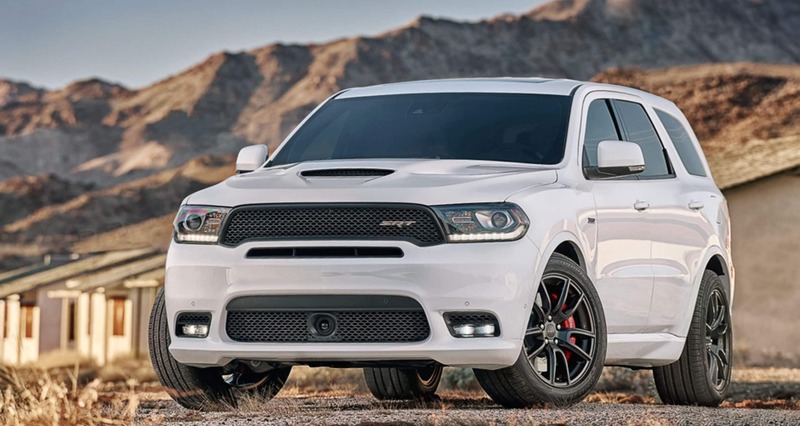 What features are offered in the different 2018 Dodge Durango trims? 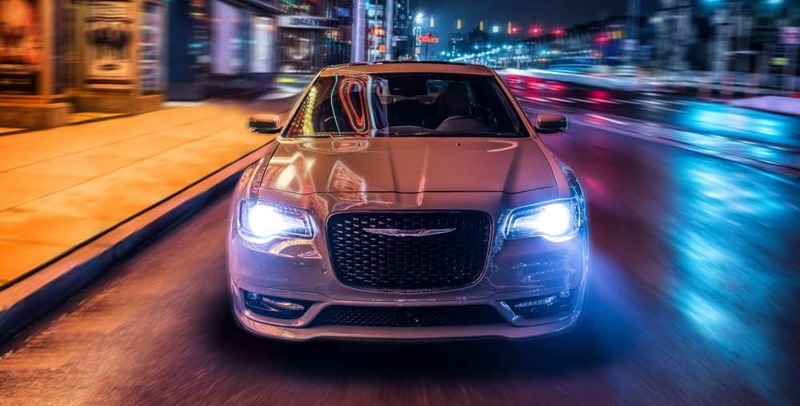 Available trim configurations come in the all-bases-covered SXT and GT, the luxuriously designed Citadel and R/T, or the new powerhouse on the block ready to outhaul and outperform the competition: the SRT. 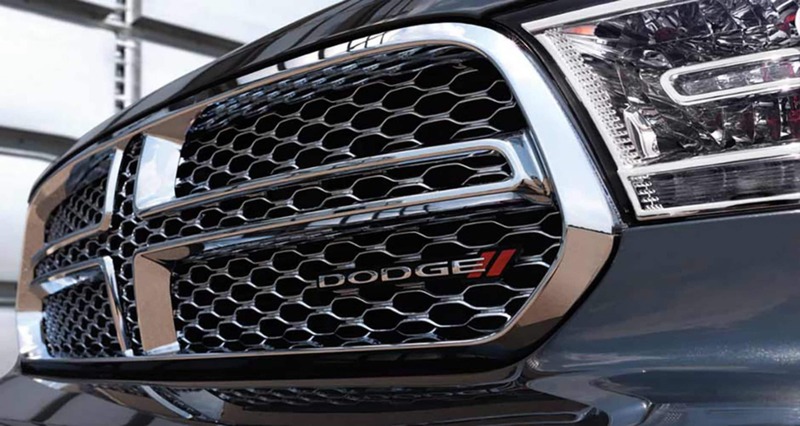 New headlamps and racetrack taillamp bring LED brightness, efficiency, and distinct exterior to the 2018 Dodge Durango. Chrome decks out the vehicle's grille, lights, mirror housings, door handles, wheels, and optional roof rackwith fresh, clean modernity. A rear backup camera is standard in all vehicles, with accompanying infortainment screen on the interior that comes up to 8.4 inches wide with standard Bluetooth. The SXT has plenty to suit the family with five standard seating and the optional third seat that's roomy enough for an all adult crew. The huge spaciousness of the interior affords you 84.5 cu.ft of cargo capacity for everyone's gear. A three-zone automatic climate control lets everyone travel in comfort. Two USB ports and an auxiliary input come standard, with two 12V power outlets for additional charging abilities. 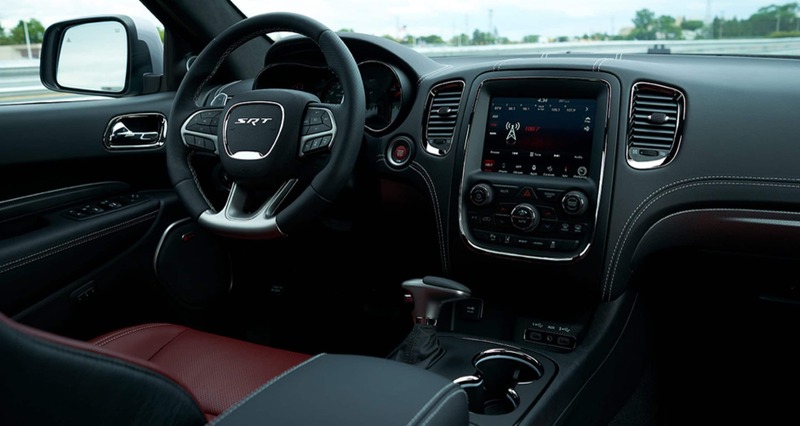 The GT adds some upscale features such as heated front and second-row seats with power adjustments, heated steering wheel, leather-suede upholstery, and standardized third-row seating. The Citadel offers luxury-minded styling inside and out, with distinct body designed, interior leather upholstery and accents, and sunroof. The R/T offers heightened performance and stiffer suspension, while the SRT commits itself to that petal to the metal feeling at any speed. Tell me about the 2018 Durango powertrain options! These are definitely powertrains that one has to experience to really get the full picture of their performance abilities. The 2018 Dodge Durango comes with three options, all very capable for the family, the hobbies, and anything in between you'd need to transport. The base option is the 3.6-liter V6, standard on the SXT, GT, and Citadel models. This engine tops out at 293hp and 260 lb-ft torque, enough to tow an impressive 6,200lbs and speed 0-60mph in just under eight seconds. The R/T upgrades to the first of the V8 engine options. The 5.7L comes with intuitive 4WD abilities, supplying extra traction only when the power is necessary. This engine roars with 360hp and 390 lb-ft torque, upgrading to a towing ability of 7,400lbs. Not enough? Dodge has the answer. The SRT with its 6.4L V8 engine can tow up to 8,600lbs, haul with 475 horsepower and 470 lb-ft torque, and speed 0-60mph in 4.4 seconds. The latest of Driver Assist features provide 360 degrees of awareness surrounding your car, alerting you of blind spots, approaching rear cross-path obstacles, forward collisions, and park-assisting sensors. For the maximized focus on the road, it's definitely a package to consider looking into. 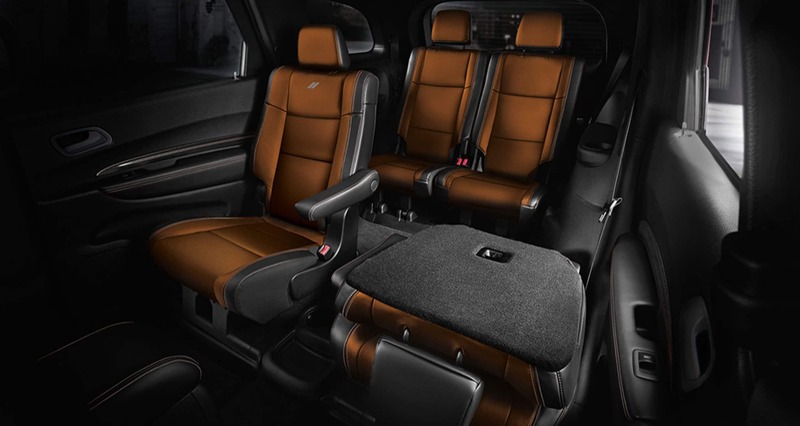 Standard and available features combine to number above sixty options to pack into your Dodge Durango. Seven airbags, electronic stability control with roll mitigation, traction control, hill assist, trailer sway damping, and ready alert braking with the powerful four-wheel antilock disc brakes are just some of the features that come in this SUV. 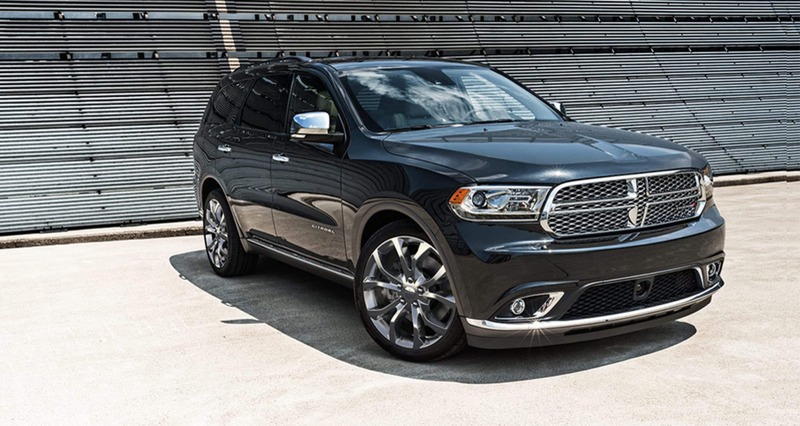 Dodge knows security of mind is the most important of the Durango's family-centric design. 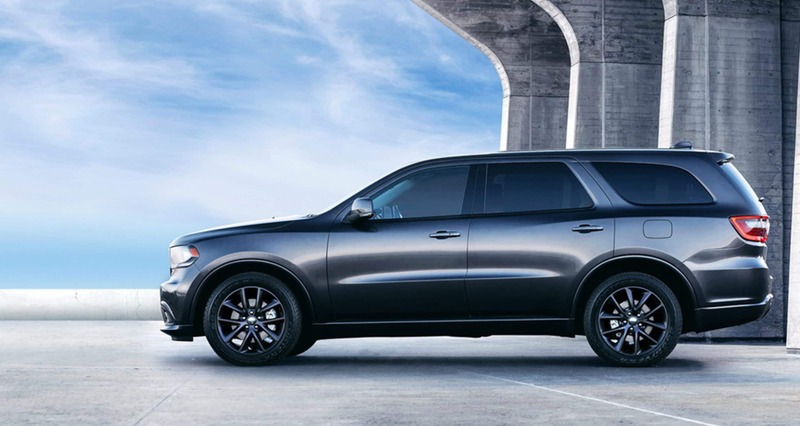 When looking for a vehicle that can supply utmost convenience and functionality for your family now and for years to come, the 2018 Dodge Durango should be high on your list of SUVs to consider. It has plenty to offer a family growing in either number or size, with seating arrangements to accommodate up to seven and the spaciousness to house those seven comfortably and in style. Bring your family to experience the 2018 Dodge Durango today.